Who does not know where the end of the Cold War began? Where portions of the Iron Curtain still stand? Where science and creative geniuses like Albert Einstein, Ludwig van Beethoven, Johann Sebastian Bach, Max Weber and Friedrich Nietzsche were born and bred? And where the most recent victors of the 2014 FIFA World Cup were from? Throughout history, Germany has always been one of the major actors in all aspects of international affairs, weaving a creative tapestry of different cultures, history, and dynamic experiences. Despite its very orderly and serious reputation, it is an attractive choice for both tourists and expats wanting a glimpse of Germany’s past and its path to recovery during the post-war years. According to the most recent figures of Germany’s Statistics Office, about 7 million of the 80.77 million population of the country are foreigners. It is also a popular destination for UK expats, ranking 9th in the Institute for Public Policy Research’s recent study on British Diaspora (around 160,000 British citizens lived in Germany in 2010). Specifically, Berlin is an enticing destination for expats as it offers a lot of job opportunities for foreign nationals. Some nationals of EU members would find it advantageous that the cost of living in Germany, specifically in Berlin, is more affordable than in other EU countries/cities. According to Mercer’s Cost of Living Survey in 2014, living in Berlin (68th), despite being the capital, is actually less expensive than in Munich (55th) and Frankfurt (59th). The city is also less expensive than some European cities such as Zurich (8th), London (12th), Brussels (56th) and Madrid (63rd). 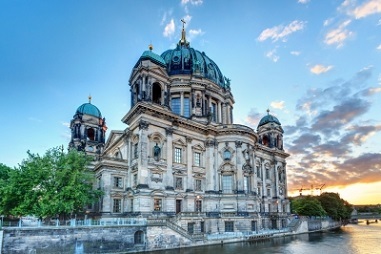 Certainly, our series of blogs on the Cost of Living will not be complete without a tour in Germany’s capital, Berlin. Germany is a country of renters, with only about 10% of the Berlin population owning their homes. Although rental prices in Berlin are generally less expensive than in some European cities such as London and Brussels, expats should still be prepared to spend around 40% of their monthly income on rent alone. Needless to say, housing costs in Berlin depend on the kind of accommodation as well as its location, whether they are in popular or modest districts or boroughs. Generally, apartments are furnished or partly-furnished, which adds to the accommodation costs. The most popular housing locations for expats in Berlin are Mitte, which serves as the heart and unification capital of the city; Charlottenburg-Wilmersdorf, where expats find a quiet kind of living; and Pankow, where most foreign academics, designers and artists live. More modest locations are Friedrichshain-Kreuzberg and Neukolln, which are popular with young expats and students because of the relatively lower cost of accommodation. In the popular districts, a furnished 1-bedroom apartment would cost around EUR 600 whilst a furnished 3-bedroom apartment can cost as much as EUR 1,800. On the other hand, a furnished 1-bedroom apartment in one in the more modest locations can cost more like EUR 400, whilst a furnished 3-bedroom apartment can cost EUR 1,200. Naturally, prices for houses are about EUR 300 more expensive than apartments. Owning a property is also an attractive option for expats. Along with the country’s economic recovery from the 2008 global financial crisis, property prices and mortgage rates in Germany are increasing, with investors seeing German properties as reliable investments. The process of acquiring a property in the country is also relatively easy and imposes no restrictions even to non-EU nationals. Most properties for sale in Germany are being sold by real estate agents, so it is probably best to hire one to help you find the best place, as well as assist you in all the administrative aspects of buying a property. Just like rental costs, property prices in more popular districts will be more expensive than in modest ones. A 1-bedroom apartment in Mitte or Pankow would cost around EUR 200,000, whilst a 3-bedroom apartment in the same area can cost as much as EUR 600,000. The same accommodations in the modest areas of Friedrichshain-Kreuzberg and Neukolln would be about 20% less. It is important to bear in mind other expenses when purchasing a property in Germany, such as the property transfer tax (3.5%-5% of the property cost), notary fees (1.2%-1.5%), registration fees (0.8%-1.2%), and estate agent fees (1.5%-3.0%). Utility costs in Germany are not very different from other European cities. However, the costs of water consumption and sometimes gas for central heating are included in the monthly rent, which are estimated by the landlord on the consumption of the household. On rare occasions that water consumption is not included, expats will need to apply for an individual water supply contract. An expat couple living in a 1-bedroom apartment in Berlin might have to spend at least EUR 100 on utility costs. Naturally, this amount would go higher as the number of people in the household increases, as well as the kind of accommodation that expats have (utility costs in houses are higher than those in apartments). There are a lot of choices for expats’ mobile and Internet needs in Germany. Deutsche Telekom, the largest telecom company in Germany and the owner of T-Mobile, has a EUR 53 plan complete with call, text and data plans, as well as a smart phone. On the other hand, an 8-Mbps Internet at home would cost around EUR 35 per month. Food expenses in Germany are generally lower than in some European cities, specifically London, Zurich and Brussels, but this depends on the lifestyle as well as the food choices of expats. A couple living in Berlin should expect to spend at least EUR 150 on weekly food expenses, whilst a family of four might have to spend as much as EUR 800 on weekly groceries. A Big Mac in Germany costs EUR 3.67, which is just about the same as prices in other European cities such as London, Brussels and Madrid. On the other hand, a Starbucks Grande Café Latte in Germany (EUR 4.45) costs more than one in the UK (EUR 3.00) or in Spain (EUR 3.47). Most expats living in Berlin find owning a car unnecessary as public transportation in Berlin is well developed and on a par with those in other European cities. There are four major interconnected systems of public transportation in Berlin: the U-Bahn (underground train), S-Bahn (suburban express train), trams, and buses. These systems use a common ticket or travel pass, which costs EUR 75, although this can vary on the usage and the length of the journey. Single journey tickets can be bought for EUR 3.00, whilst normal taxi rates in Berlin cost around EUR 3.20, with an additional EUR 1.65 per kilometre. Though petrol prices in Germany (EUR 1.60) can be lower than in some European cities, expats might find it costly to acquire all the necessary documents and insurance for owning a car, especially in Berlin. However, Germany being the birthplace of Volkswagen, Mercedes Benz, Porsche and BMW, these cars’ prices can be slightly lower than in other European cities (around 5%). Germany maintains excellent standards in education, and as in other cities, expats can choose to send their children in public (state) or international schools, with the latter being a more popular choice. Expats do not pay for tuition fees if they choose to enrol their children in the public schools, which can be a good idea for expat parents wanting to move to Germany indefinitely. This can be ideal for young expat children as it may be easier for them to adapt to the culture and to learn German, the language of instruction in public schools, at an early age. However, other expenses such as extracurricular activities might have to be borne by the parents. On the other hand, expats generally send their children to the international schools as these use the International Baccalaureate or country-specific curricula. Tuition fees vary according to the age or level of the child, as well as the international school. 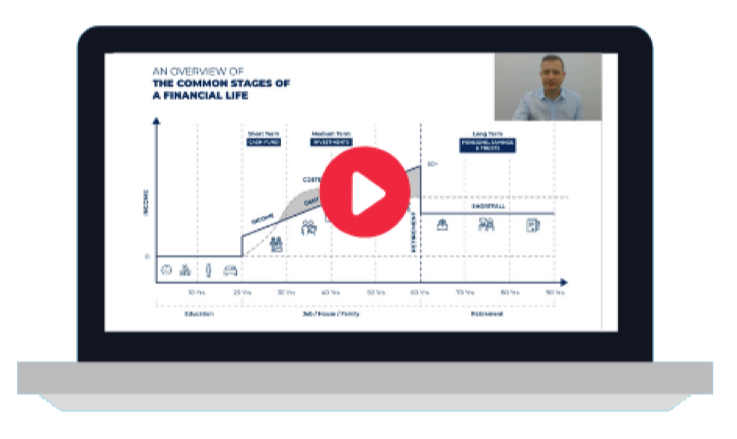 But on average, expat parents should be prepared to spend a yearly fee of EUR 5,000 for early years, EUR 12,000 for primary school, and EUR 15,000 for secondary school. Some of the most popular international schools in Berlin are the Berlin British School and the Berlin International School. Germany has one of the best healthcare services in Europe and expats will find the country’s facilities impressive. Health insurance is mandatory for locals and expats alike, and expats working for German companies (or those that operate in the country) can use the government-subsidised health insurance plan. The premium for public health insurance is generally about 15.5% of monthly income, which is deducted from salary, and the employer covers half of the costs (7.3%). Public health insurance can be a good option for expats with families as the plan extends to an individual’s dependents. On the other hand, self-employed individuals will have to apply for private health insurance, which can be expensive. The monthly premium for a private plan is defined by the agreement between the insured individual and the insurance company and is based on the kind of services covered. Generally, private healthcare is more expensive than the public one. Thus this should be an essential budget item for freelance expats planning to move to Germany. Expats will not starve for entertainment in Germany. The country that invented the Oktoberfest, Germany is a country for those with a taste of adventure in food and amusement. In Berlin specifically, a lot of festivals and events occur all year round, such as the Berlinale Film Festival in February, the Carnival of Cultures in June, the Love Parade and Festival in July, and the Jazz Festival in October, among others. As one of the central actors in major world historical events, it is not surprising that there are a lot of museums and monuments in Berlin dedicated to memorializing and commemorating these defining chapters in the country and the world’s past. A trip to Berlin will never be complete without seeing the Jewish Museum (EUR 5.00), the Topography of Terror Museum (free), the Allied Museum (free), the DDR Museum (EUR 6.00), and the Berlin Wall Memorial (free). Ancient history fanatics would also be excited to see the Egyptian Queen, Nefertiti’s bust in the Neues Museum (EUR 10.00). Meanwhile, fans of the opera and classical music are most likely to frequent Deutsche Oper Berlin, which shows a variety of performances all year for at least EUR 32.00, and the Berlin Philharmonic, whose current principal conductor is Sir Simon Rattle. Of course, no one thinks about Germany without any mention of beers, wine and ales, and expats will be thrilled to know that the costs of these drinks are cheaper in Germany than in other European cities. Going on a date can also be affordable as there are a lot of choices in Berlin from upscale bistros to bars for as low as EUR 30 and cinema tickets can be bought for EUR 9.00. Although tax rates in Germany are considered one of the highest in the world, salary levels have also significantly increased in recent years, which is a plus when one considers the relatively low cost of living in the country. Generally, an expat might have to allocate 15%-42% of their income to taxes. However, Germany has Double Taxation Agreements to a lot of countries all around the world to avoid double taxation for expats who already pay taxes to their home country. Contrary to general opinion that living in Germany can be very uptight, Germans are a fun-loving folk and expats can take part in a lot of festivals and activities happening along the streets all year round. Think about Oktoberfest and you might already get the vision of entertainment that you want. Those passionate about history will find that Germany, specifically Berlin, can give a much closer glimpse into and understanding of the past. Generally, we believe most will find Germany to be a delightful experience.